No. No, they are not. But more about that later. 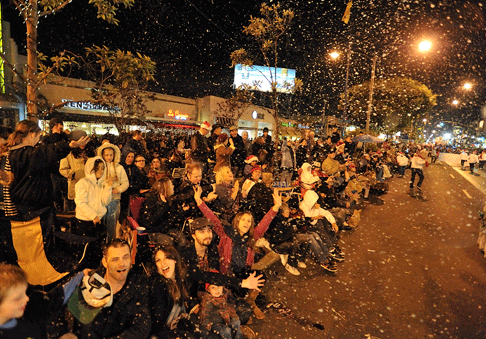 Oh and, yes, yes, we talk about the soon-to-be Belmont Shore Christmas Parade, an event that the Post staff will be walking in so please come on down and pelt us with your zoo peanuts. Now, to be perfectly honest, when I signed on here a few months ago, I figured we’d be riding on some kind of float, you know, with animatronic bureaucrats refusing our animatronic reporter’s animatronic Freedom of Information request. But apparently there was no money for that since all of the Post’s discretionary budget goes toward replenishing Grobaty’s Faberge Egg collection—I’ve seen that dude go through five or six of those things at brunch. OK, back to the Beatles (which I’m sure has been trademarked by someone). It would be a mistake to think of tonight’s Knights of the Round (Turn)Table event at the Petroleum Club, beginning at 6:30 p.m., as one of those fanboy events—i.e. Breakfast with the Beatles—that basically support half of the music industry. No, the Knights will be listening to the Beatles’ “Sgt. Pepper’s Lonely Hearts Club Band,” track by track and with a discerning ear, guided by expert analysis and context by folks who know what they’re talking about, with discussions to follow. So, say, if you wanted to point out that “Peppers,” which is often cited as the first concept album, actually came out a full year after Hawthorne’s Brian Wilson, recording as the Beach Boys, gave the world “Pet Sounds” which IS the first concept album and one that McCartney and Lennon listened to repeatedly before heading into the studio, you could say that. Knights of the Round (Turn)Table and the Good Spirits Club meet Thursday, at 6:30 p.m., at the Petroleum Club, 3636 Linden Ave.
More oldies. This one from the ’40s. That would be the 1740s. Handel’s Messiah is one of those holiday favorites like “The Nutcracker” that families set their holiday watches by. In Long Beach, that means listening to the excellent Camerata Singers who, once again, have partnered with Musica Angelica Baroque Orchestra, and will present two performances of Handel’s masterpiece, one Friday at 7:30 p.m. a second on Saturday at 3:30 p.m., in the Beverly O’Neill Theater. Fun fact: Did you know that Messiah, which premiered in Dublin in 1742, was never intended to be played around Christmas? It had always been intended for Lent. It was the Victorians who moved it to Christmas, reviving interest in a then-neglected holiday. The first London performance of the work was a complete disaster, in part, because people thought it disrespectful to perform a religious work in a theater, not a church. But, as you’ll see in the video below, people have kinda gotten over that. Beverly O’Neill Theater is located at 300 E. Ocean Blvd. So here it is, the Belmont Shore Christmas Parade. You know the drill. Traffic’s a nightmare and parking’s impossible, but the whole thing works because people come together to celebrate not just the holiday but how lucky they are to be celebrating it here. The parade gets started at 6 p.m. and will march down East Second Street with more than 100 entries, including floats, marching bands, local personalities and, yes, Corgis! 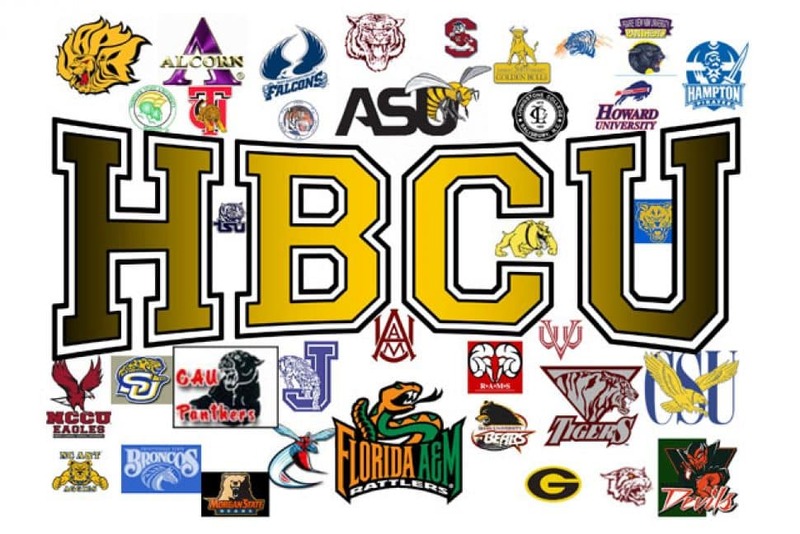 Middle school, high school and community college students are encouraged to attend the fifth annual HBCU Fair this Saturday, where more than 50 historically black colleges and universities will offer information on admissions. About 2,000 high school students from the region are expected to attend the fair and are encouraged to bring copies of their transcripts and resumes to discuss them with admissions counselors. Students will be able to meet with representatives, recruiters and alumni, while workshops on the application process, financial aid, scholarships and personal statement writing will also be offered. The 5th Annual HBCU College Fair will take place Saturday, Dec. 1 from 1 to 6 p.m. in the Seaside Room at the Long Beach Convention Center, located at 300 E. Ocean Boulevard. For more information and to pre-register, visit the Eventbrite link here. 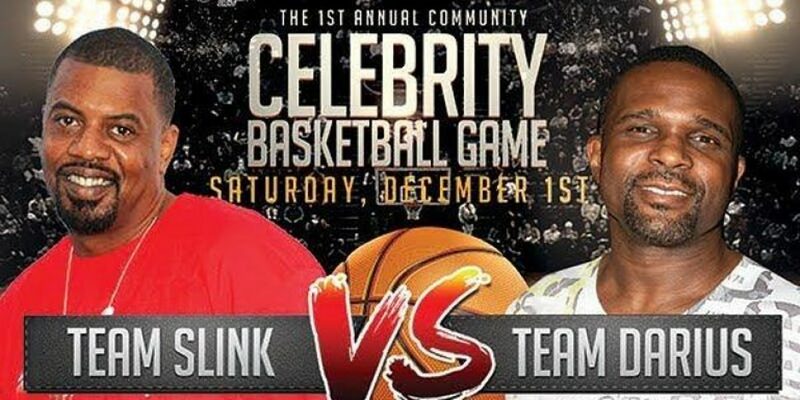 Because any season is the right season for basketball season, there is the inaugural Community Basketball Game taking place today, starting at 11 a.m. at Long Beach Jordan High. The game benefits DM Mee (Dance & Media Expression in Excellence), an after-school program to combat bullying for Long Beach Area children, and E=O2 (Education Equals Opportunity Too), a mentoring program providing educational equipment for local schools. It will feature celebrity coaches Darius McCrary of “STAR” and Slink Johnson who plays the titular role of “Black Jesus” on the Adult Swim show. Also scheduled to participate are Andra Fuller (“Black Jesus”) Bubba Ganter (“The Family Business”), Amin Joseph (“Snowfall”), Money B & Yung Hump (Digital Underground) and Vincent Ward (“Redemption of a Dogg”) and a whole bunch of other people. You can pre-purchase tickets for $10 per person or pay $15 at the door. Long Beach Jordan High School is located at 6500 Atlantic Avenue. We’re not sure how and we’re not sure what the chances are of melting, all we know is we want to witness this when it goes down. Or up. Who knows? Just give it to us. What we do know is that all are welcome and that the Ice Menorah (Yes) is not all that will be happening. Put on by the good folks at Shul By The Shore and beginning at 4 p.m., there will also be live music and hot latkes and doughnuts and drawings and all kinds of other stuff, though none of it anywhere in the neighborhood of the majesty that is, wait for it, Ice Menorah Lighting. 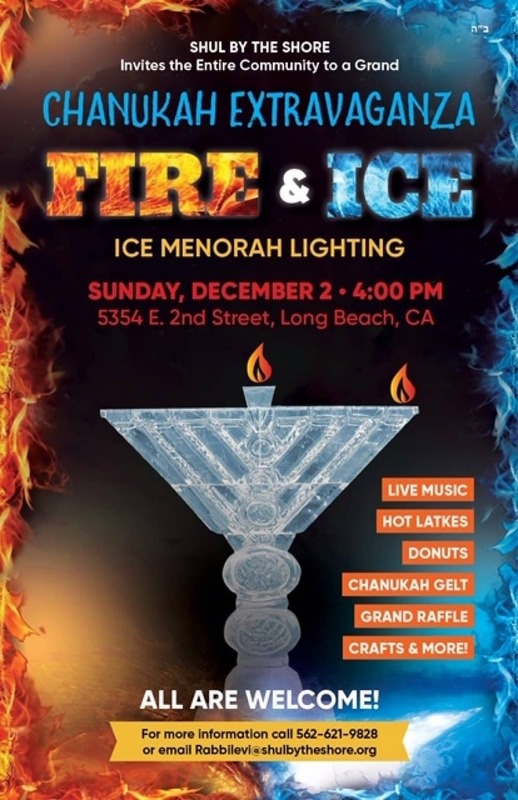 Shul By The Shore’s Fire and Ice takes place at 5534 E. 2nd Street. So, now, at the end of what figures to have been a very active, very loud, very holiday-ee weekend, the time seems just right for sitting down with a nice cup of tea or coffee and listening to something sweet and thoughtful and wonderful and not Bing Crosby. 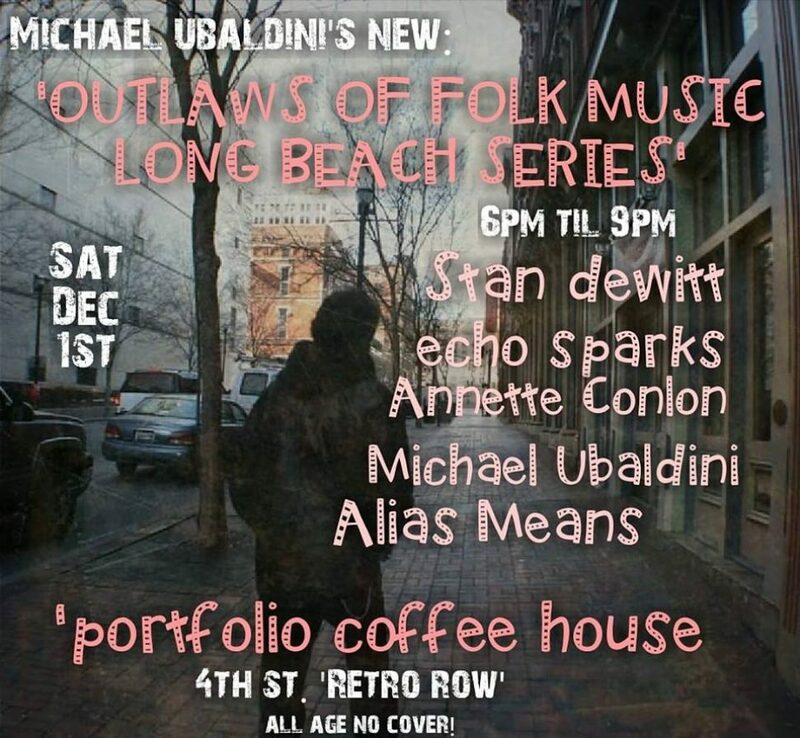 You are ready for the Outlaws of Folk Music. They’ve been holding this for 10 years at Bogarts in Seal Beach, and it’s so popular there it’s expanded to Portfolio Coffee House on Fourth. There’s actually a show on Saturday at 6 p.m. and Sunday’s gets going at 9 p.m. All ages are welcome and there is no cover. Portfolio is located at 2300 E. Fourth St.